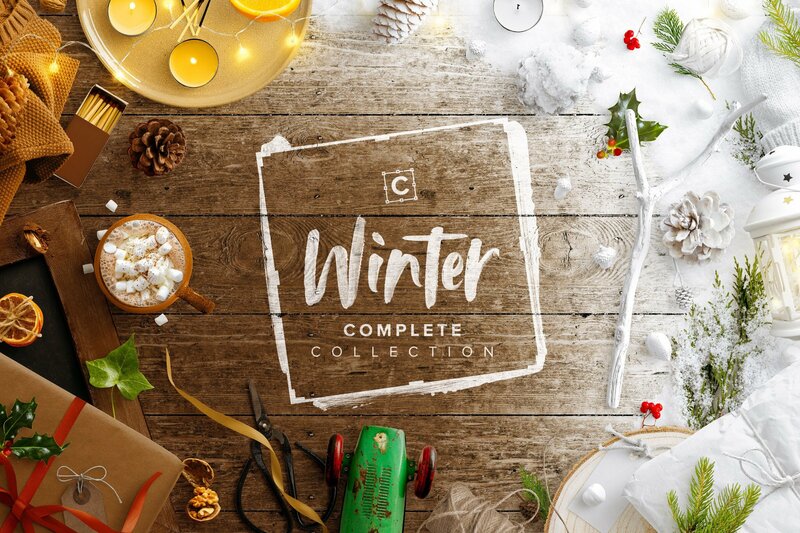 Here is our curated collection of the best things winter has to offer, from snugly home comforts to snow covered pine cones, chunky knitted blankets to evergreen branches, mugs of hot chocolate to cosy candle light. Our latest release is set to see you through your winter marketing campaigns and seasonal promotional content, whether that’s a newsletter design, a product mockup, a website banner or social media content. If you are a small business owner, it can feel like a constant game of catch up with the many hats that need to be worn (we have first hand experience here) while wanting to present high quality relevant imagery for your company, so incorporating easy to use tools are essential in making your professional life a happy one. This season may have crept up on you, but with a selection of versatile yet beautiful pre-made scenes as well as a gorgeous collection of winter items you can use to create your very own custom scene, you will be able to meet the demands of your business this season. We’ve got you covered. Check out the winter collection here. The initial release of the winter collection will be soon followed by an update with even more items, pre-made scenes and a surprise feature. For those lovely customers who have already purchased the Winter Collection, we’ll let you know when the update is available, and you will be be able to download it for free. What would you like to see in the update? Let us know in the comments below. Next post: No Photoshop? No Problem. Create graphics with the Simplified Version. Wedding Collection Giveaway 3 Prizes available! New Collection: Floral Peonies Collection + Free Wallpaper + Giveaway! Winter Cozy Collection has arrived + Giveaway: Get your hands on a copy! Winter Gift Collection is here + Special Giveaway: Win a copy for yourself!